Make sure that travelling to your next concert or festival is a smooth and stress-free event by arranging 14 seater Minibus Hire Reading. This large vehicle provides plenty of space for your whole group to travel together comfortably, while it also comes with a professional driver. This saves people the trouble of having to drive to the venue of their choice and finding a place to park. The driver will simply drop you off close to the venue and then pick you up again at the end of the show. The bright lights of London are just a short drive from Reading a a huge range of concerts, festivals and other exciting events are held here throughout the year. Having your own transportation mans that there will be no need to have to deal with buses and trains and you can stay out as long as you like. Of course, the evening does not have to end at the end of the concert. 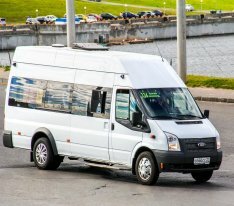 The driver of your Minibus Hire Reading will be able to drive you to the restaurant of your choice so that you can grab a bite to eat before heading home. If you are still in the mood to party, you could even use your transportation to head to a cool club to dance the night away and truly make this an occasion to remember.